Completely redesigned for 2019, the ever-popular Hyundai Tucson made its debut at this year’s New York International Auto Show. 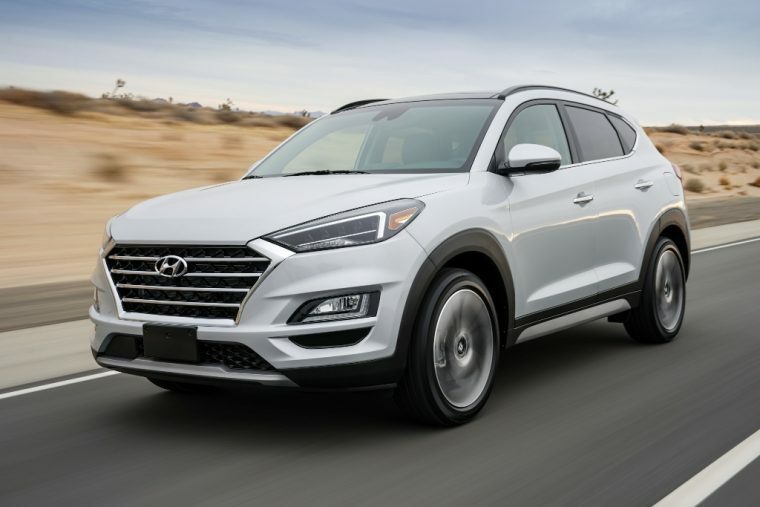 The Tucson has been a popular model in Hyundai’s lineup over the last year as SUV and crossover sales are on the rise. The 2019 Tucson has seen a host of dramatic changes. The all-new Tucson features a familiar, but slightly upgraded exterior design. Its front end has been given a makeover, adding the signature Hyundai cascading grille, redesigning the headlights and Daytime Running Lamps, and switching up the Tucson’s fascias. The 2019 Tucson will also come with a new 18-inch wheel option alongside 17- and 19-inch options with new styling. The cabin’s main upgrade focuses on increasing technology — both safety and infotainment. Standard across all trim levels are driver-assist features like Forward Collision-Avoidance Assist and Lane Keeping Assist. The Tucson also offers available safety features like a Surround View Monitor, Smart Cruise Control, High Beam Assist, and rain-sensing windshield wipers. Infotainment add-ons include Qi wireless charging and a second-row USB charger. Seating has been reconstructed with a new leather design as well as an upgraded rearview mirror. Buying vs. Leasing: Which option is best for your lifestyle? There are two engine options available on the 2019 Tucson, each paired to a six-speed automatic transmission. The first is a 2.0-liter four-cylinder, producing around 164 horsepower and 151 lb-ft of torque. The larger engine is a 2.4-liter four-cylinder, producing 181 horsepower and 175 lb-ft of torque. The 2019 Hyundai Tucson will arrive in dealerships later this year.